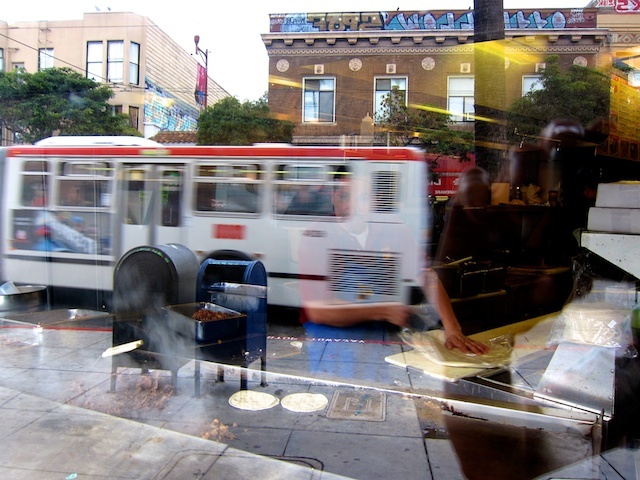 According to those who study such things, San Francisco’s Mission district is the epicentre of North America’s burrito scene, at least north of the Rio Grande. There’s a reason it’s called the Burrito Belt, with countless taquerias doing their take on this Mexican torpedo classic. But which is the best to visit on perhaps your only foray into this colourful SF district? Wars have been fought over less, with loyalty and personal taste weighing heavily on the outcome. Some folks, for instance, won’t touch burritos containing rice and beans; others insist on it. 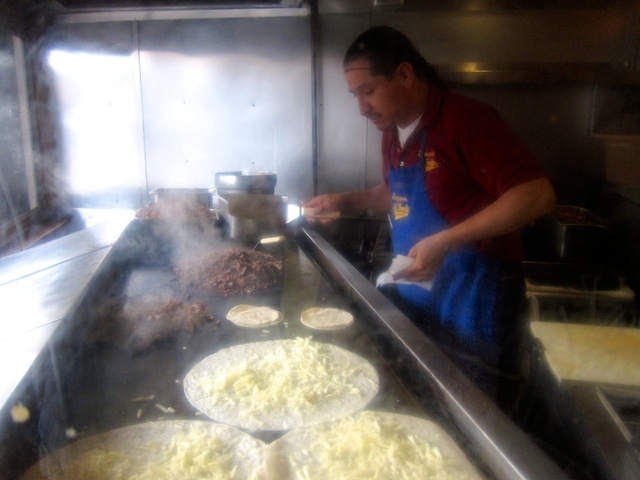 After an exhaustive, nationwide search, the Mission’s La Taqueria was recently named the best burrito maker in the U.S. Phooey, say some. 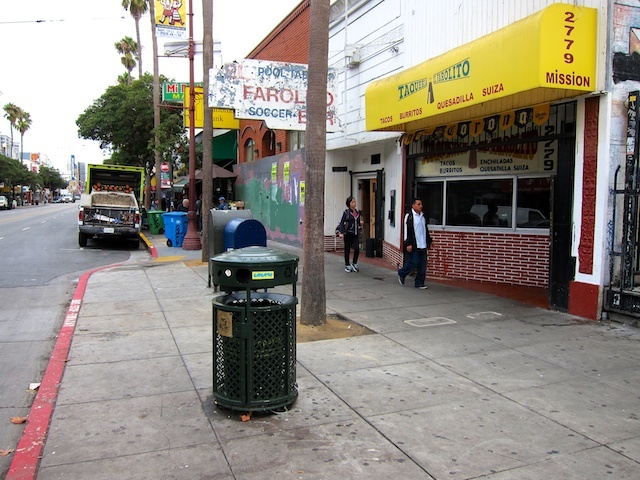 It’s long-standing Taqueria El Farolito. Others prefer Taqueria Cancun or maybe El Metate. You can sift through thousands of Yelp reviews should you care to do your own online research. To me, it’s as much about the experience as the actual burrito composition and taste. The main character in this drama is faded, dirty Mission Street itself, with no wish to become gentrified. 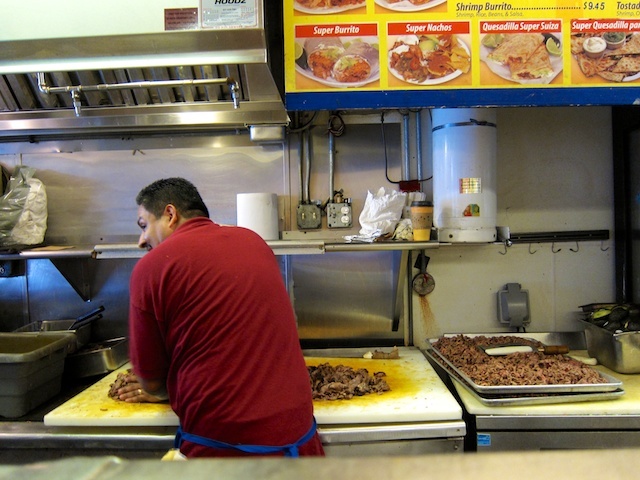 Fitting exquisitely into this unvarnished aesthetic is Taqueria El Farolito. The outside sign has faded towards illegibility, the order line a narrow row skirting plastic tables. I look over the counter and watch a guy attacking a huge pile of cooked steak with a menacing chopping knife. But the real theatre is at the front, where through grease-stained glass, I observe a whirling-dervish cook working the blacktop. Wielding two long metal spatulas, this pro lightly singes oversized tortillas, tosses sizzling, marinated meat and then rolls everything up into two-pound logs, which he might sever in half with a decisive thwack of said spatula. Make sure you order a super burrito, which includes all the fixings, including avocado, and your choice and style of grilled meat. And don’t forget to throw some good, house-made guacamole, salsa and pico de gallo into little plastic cups, and keep splashing them on as you work through the layers. 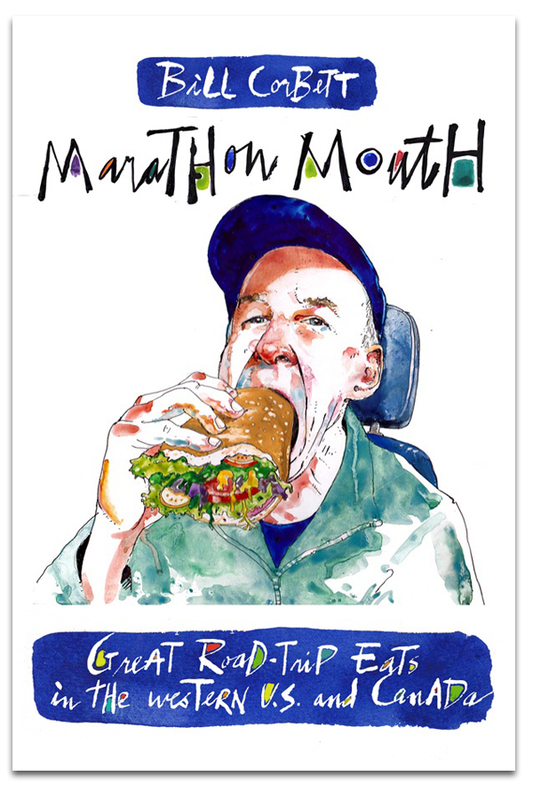 If you’ve got the time and stomach space, consider organizing your own burrito crawl up Mission Street. A warning: After just a couple of stops, you might be reduced to a crawl. This entry was posted in California, Mexican food, road food, Road trip food, San Francisco and tagged San Francisco Restaurants on February 2, 2015 by bcorbett907. That’s a long list. Here are a few quick picks. You can also use the search engine on the blog. If you’re going in the winter, not all these places will be open.